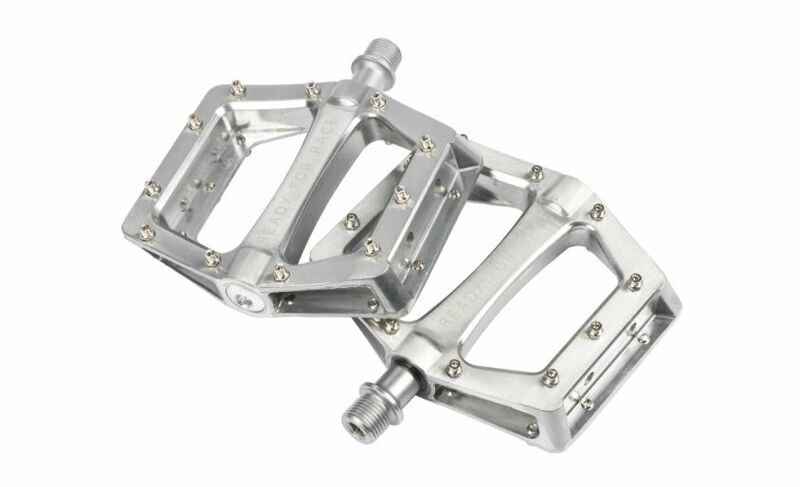 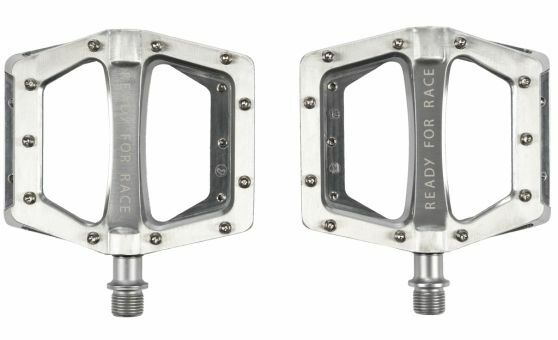 These lightweight aluminum flat pedals are installed with a Cro-Mo axle. 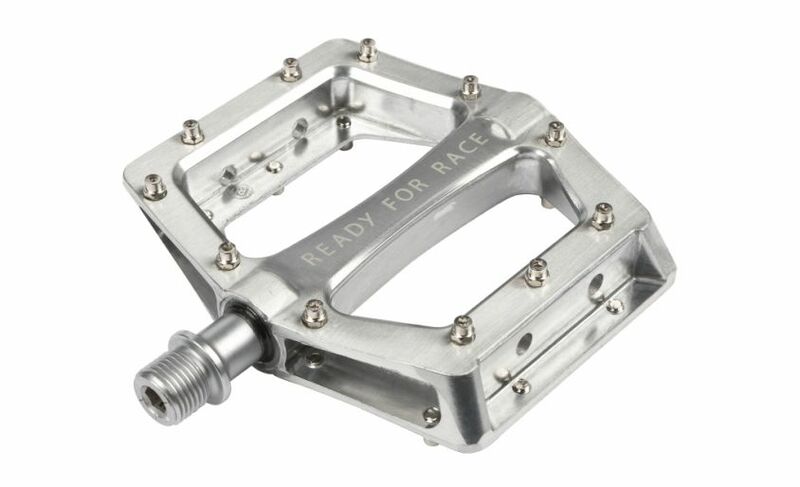 The pedals are mounted with high-quality bearings. 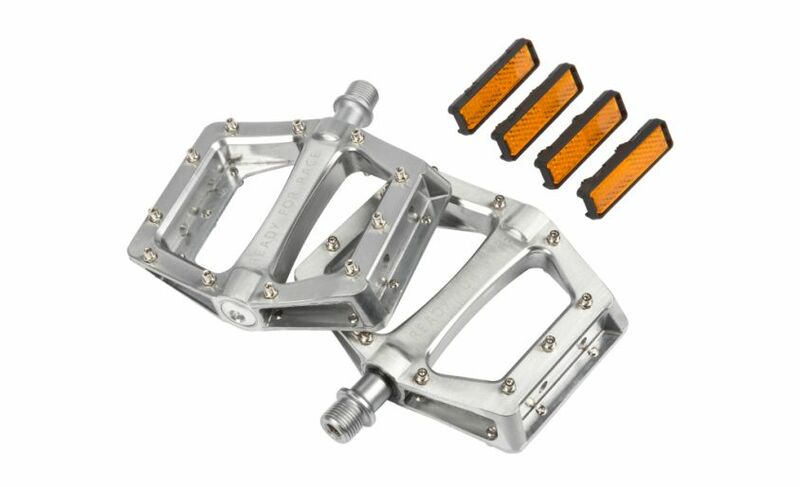 The non-slip pins are changeable and offer the best grip on the bike.